PepsiCo Inc. is scouting for new food technologies and eying Israeli foodtech startups in the process. Three such startups were among ten companies selected to participate in this year’s Nutrition Greenhouse program, a startup incubator operated by PepsiCo. PepsiCo announced the ten finalists in July. A1C Foods Ltd., an Israeli startup developing chocolate and ice cream with low glycemic index, was selected to participate in the program, as were vegan yogurt company Yofix Probiotics Ltd. and wholesome nutrition company The Sprouted Grain Company. The Nutrition Greenhouse was launched in 2017 to support emerging foodtech companies and entrepreneurs. Ten companies are selected to participate each year, receiving a €20,000 grant and access to mentorship, workshops, and collaboration opportunities with PepsiCo. One of the participating startups stands to receive an additional prize of €100,000 at the end of the program. PepsiCo Europe & Sub-Saharan Africa division oversees the program. Other companies selected for this year’s program include Bulgarian functional beverages company Welldrinks Ltd., French non-alcoholic wine company Le Petit Béret, and U.K.-based tea pod company Rokit Pods. Founded in 2016 and based in the greater Tel Aviv metropolitan area, A1C Foods develops proprietary formulations and technology to create foods that are low in carbs and glycemic index. 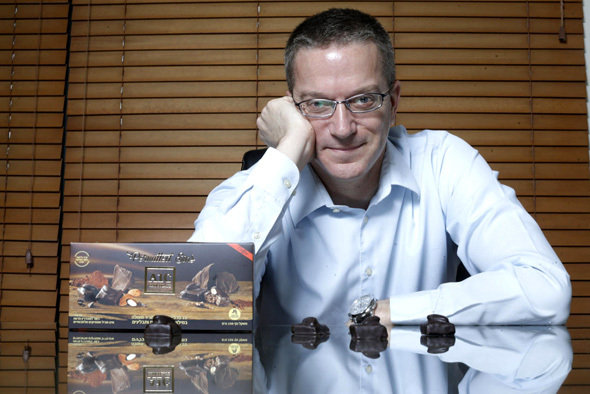 “We took apart chocolate until we were able to isolate specific characteristics of specific substances, to manipulate them to decrease the Glycemic index, or the impact it has on the blood sugar levels,” Founder Ran Hirsch told Calcalist in an April interview. Yofix develops dairy free and soy-free fermented foods such as yogurt, made of cereals, lentils, grains, and seeds. The company raised $2 million in funding to date and is backed by Israel’s Strauss Group. The Sprouted Grain Company offer hand-made, freshly sprouted whole grains, legumes, and flours. According to the company, the sprouting process helps maximize the nutritional value and digestibility of these foods. Last week, PepsiCo announced it agreed to buy Israeli at-home water carbonation products company SodaStream International Ltd. for $3.2 billion in a bid to expand its sugar-reduced portfolio. The deal, expected to be completed in January 2019, will see SodaStream become a wholly-owned subsidiary of PepsiCo.